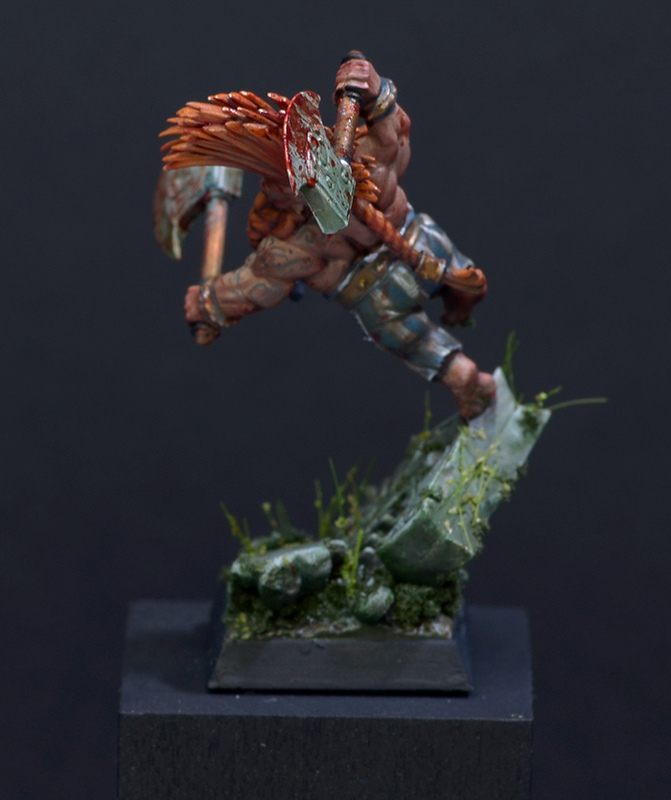 as I find myself in between big projects that need proper time to be finished properly I decided to do a faster miniature for the fun of painting. 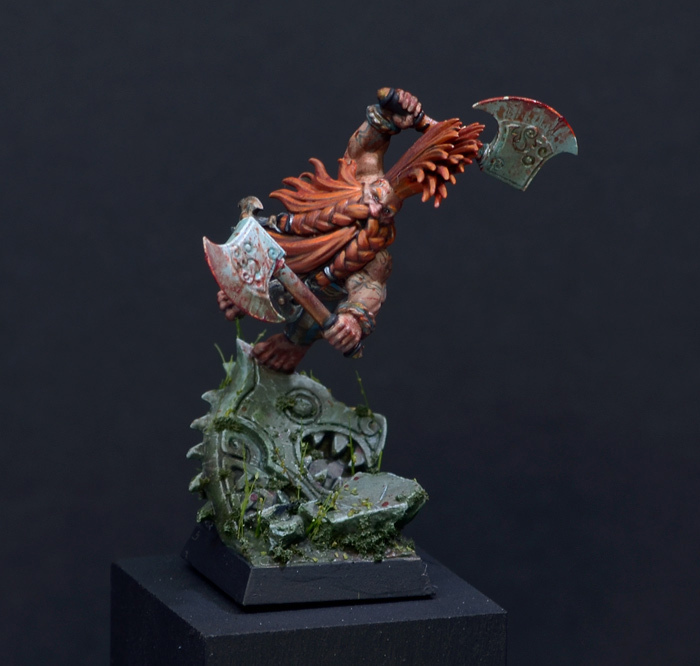 I found myself in front of the new Dwarf Slayer model from Games Workshop in 28 mm, as I needed an additioanl figure to explain some masking techniques. 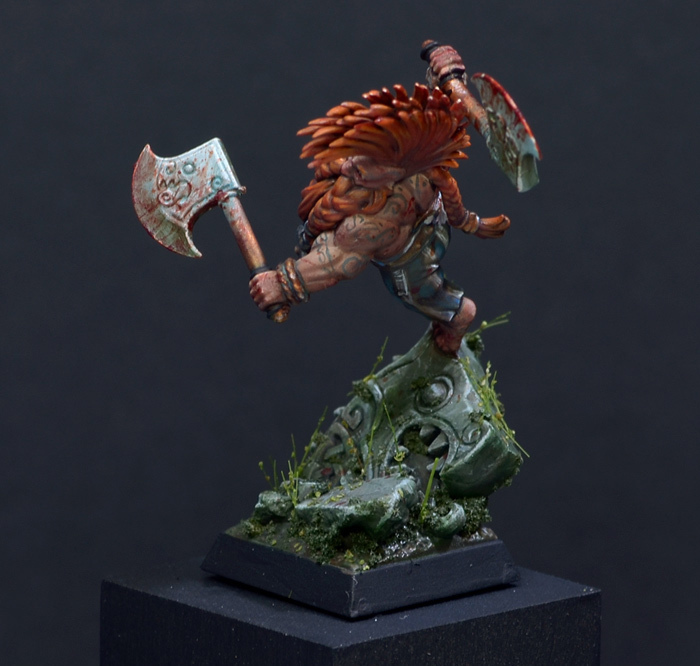 When I first saw the model I had the feeling I did not want to paint him as the pose feels a little awkward, but while painting him I enjoyed him. I did him rather quick in a couple of hours and really had my fun. 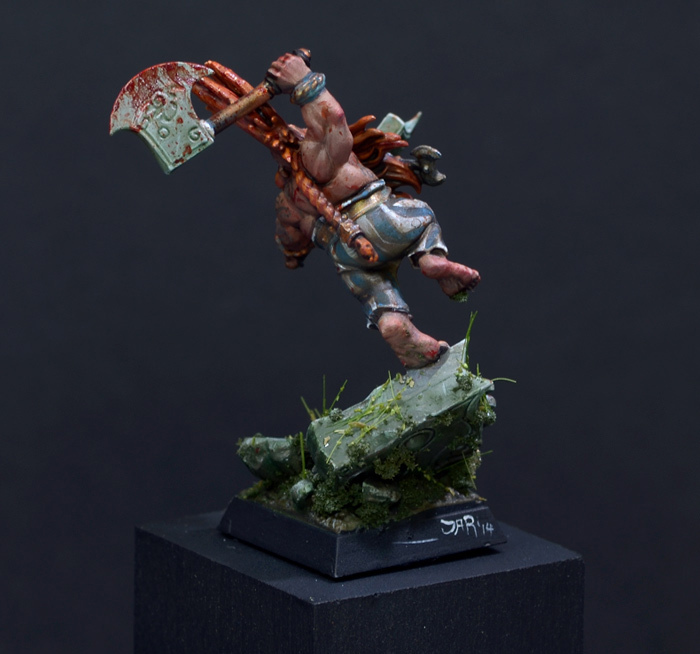 The quality of the paintjob lacks the quality of high end display pieces here and there, but I was not aiming for that on that miniature. I was aiming for fun and found it. Hope you enjoy! 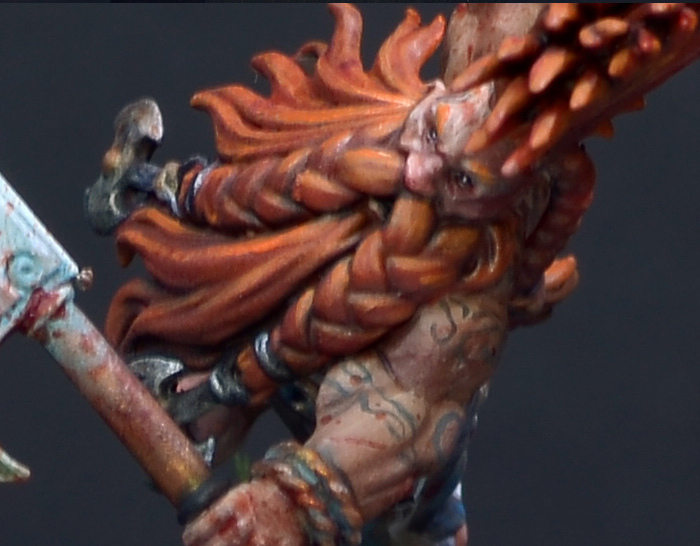 BTW there will be future step by step about this guy via Massive Voodoo's year of the painter tutorial voting. It waits in preparation to come up for voting, stay tuned. I like this figure very muich. Your version is very nice. I hate the pose GW did on this figure, but the paintjob and flocking is awesome! 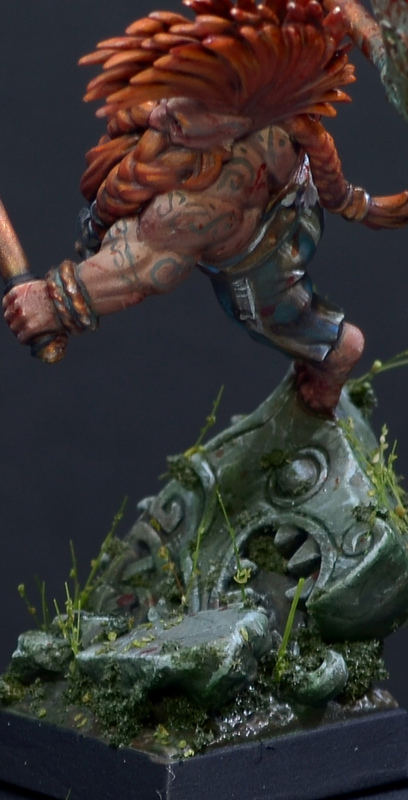 Hahaha, I love how your "lack of paint quality" minis put my best quality to shame! It shows me in what direction I need to go. Thanks for the site and the awesome tutorials! You guys rock! thank you for showing me this because I am glad that I did not buy it .